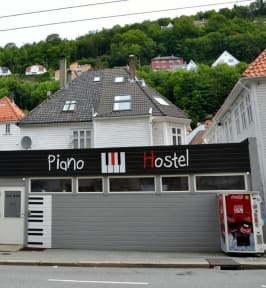 Bergen Budget Hostel i Bergen, Norge: Bestill nå! Bergen Budget Hostel is a functional and cozy hostel located in Bergen, one of the most vivid and interesting cities of Norway. In this sense we capitalize our knowledge of the city and our experience in the sector to offer our guests and travellers the best possible stay. The hostel is located in the center of Begren city. Great location, close to everything. 200 meters from train station, 350 meters from Bryggen and the Hansiatic sites. Floien is also just 400 meters away. 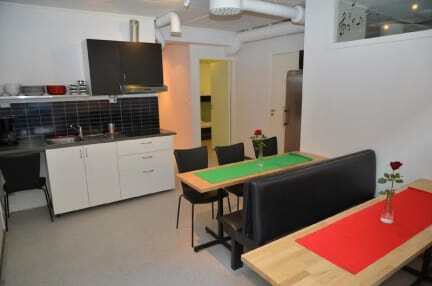 We are a really good and cheap hostel solution in Bergen. Set just 3 minutes’ walk from Bergen Train Station, this self-service hostel offers guest rooms with free WiFi and access to communal kitchen facilities. Bryggen Wharf is 500 m away. The Fløibanen funicular is 550 m from the hostel. Bergenhus is a great choice for travellers interested in fish markets, scenery and seafood. Just next to the hostel is the famed restaurant Colonialen located as well. You are really in the middle of Bergen city center. Torgallmenningen Square is a 6-minute walk away. Close to all services. All guest rooms at Bergen Budget Hostel have a seating area. Bathrooms are shared. Bed linen is included. All beds have reading light and small stand for coffee/phone. We also have lockers for valuables. The hostel is very safe; we have outside and inside (common areas) on CCTV. Without a code, you will not get in. We also emphasis on having (if possible), men and women in separated bedrooms (again, not guaranteed). Common area with kitchen, two bathrooms, lockers for valuables. There is no physical reception. Hei. Det var veldig bra.